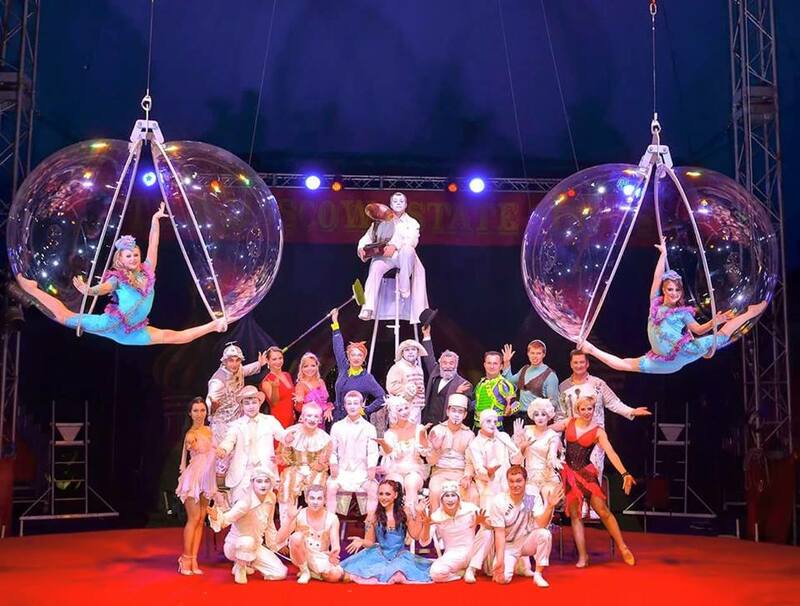 The Moscow State Circus are in town with Zhelaniy … get 2 for 1 tickets! From the ‘world’s most famous circus’ (their words, not mine), the Moscow State Circus are coming to CARDIFF between 29 April – 4 May 2015, and bringing their new show ‘Zhelaniy’, which is based on the Russian folklore story of Cvetik-Semicvetik, or “the flower with seven colours” by Benjamin Losin, where each of the flower petals represent a wish. Are you still following? Good! Wizard Wako and his sidekick Natalia Mezentceva guide you through this tantalising tale, granting wishes to the beautiful Kushka Veslovskiy (who plays Zhenya). They are surrounded by a multitude of flying, back flipping, juggling, wire walking and roller-skating performers. TATIANA OZHIGANOVA Beautiful daredevil aeriel divas. Don’t miss this amazing show, created especially for its first ever-European tour, all housed in a state of the art air-conditioned big top. And ESPECIALLY for you guys – get yourselves two for one tickets! This offer lets you buy two full price adult tickets for the price of one … call the box-office on 0203 3753970 and quote the promotional code JUGGLER. (Offer not valid in conjunction with any other discount or against tickets already purchased). ← Can you dig it? Canton community garden opening party!